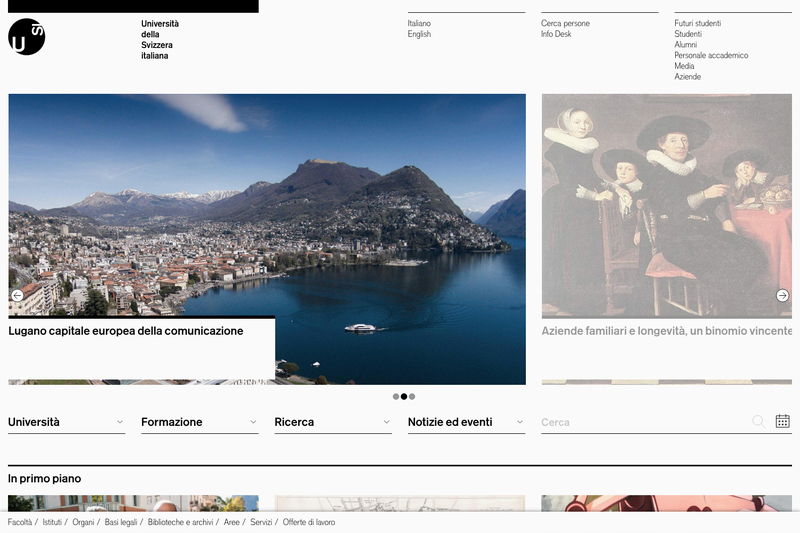 This website is part of the new corporate image project of the USI, Università della Svizzera Italiana. 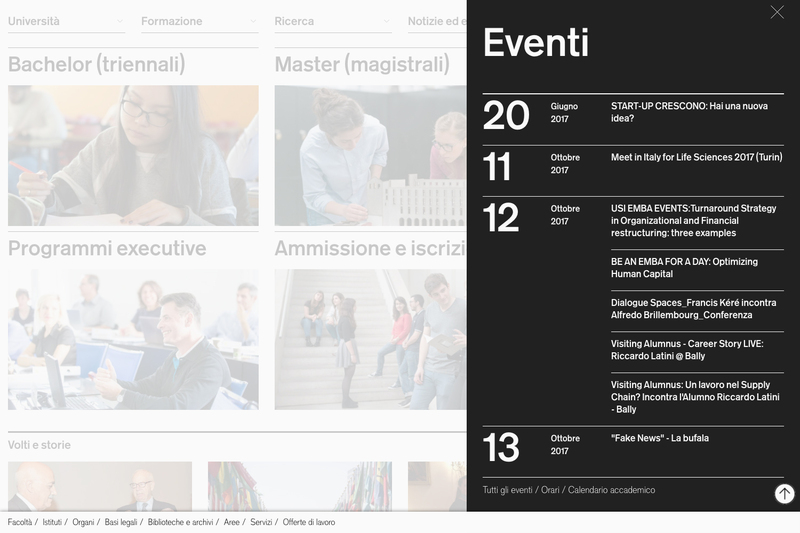 Despite its ordinary appearance, it is a very complex project that aims to combine together under one virtual place all the institutions that compose the huge university system. With Leonardo Angelucci.